Foreign Warren of The Knuckledusters unapologetically puts in his Soundcloud bio, “Seriously not taking music seriously”, and it shows. He’s no stranger to viral videos; last year he produced an EDM remix of Damn Daniel that quickly racked over a million views on Facebook. Similar to the Bad and Boujee “YAH YAH YAH” edit, that track was played on syndicated radio stations worldwide. Even before the meme remixes, he previously produced for the girl-band Millionaires (yes, those Myspace girls), so it’s safe to say he never took music seriously. His latest claim to fame is this little gem, “Bad and Boujee, but only Lil Uzi Vert saying YAH”, which was featured on GQ and Noisey by Vice. Sure it’s not his producing skills that were showcased, but 3 million views can’t hurt one’s career. It looks like he’s gotten a number of bookings from this edit as well. 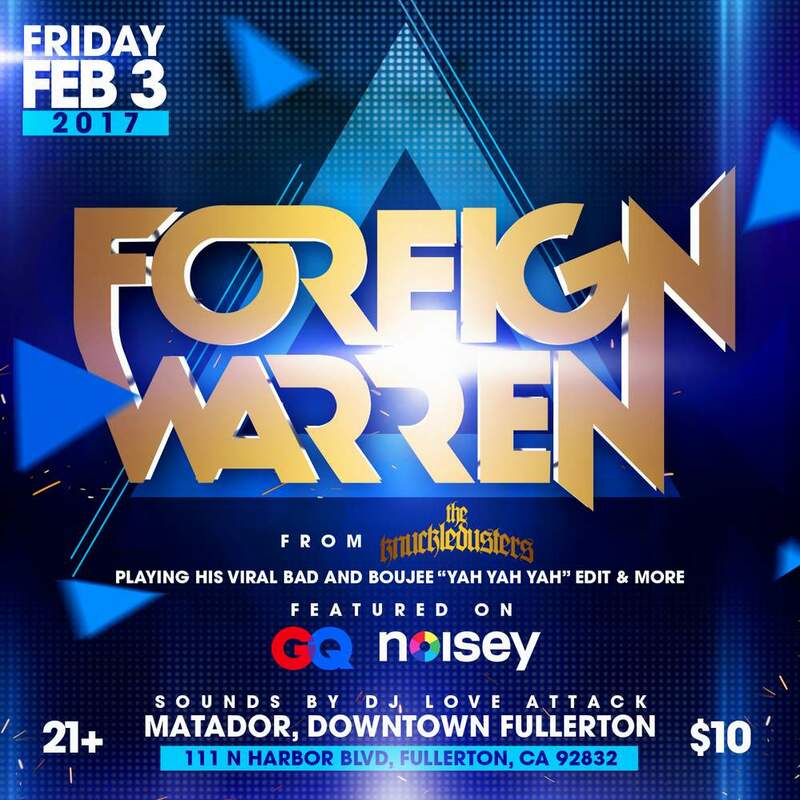 For now, there’s no knowing where Foreign Warren is going with his content, but he is one producer to keep your eye on this year.